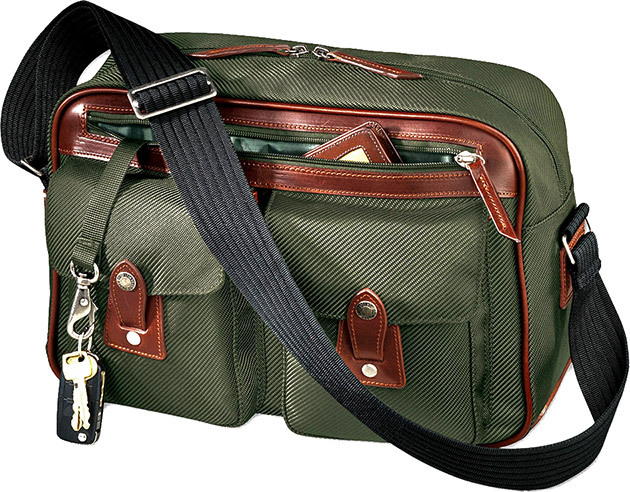 Lightweight and extremely durable, the Filson Passage Boarding Tote ($150) lets you travel in style. This shoulder bag is constructed with 16.4-ounce nylon twill with 3XPU coating to withstand the rigors of travel. It features a roomy main compartment with zippered closure, two front pockets with snap flap closure, a full zippered pocket, and a ton of interior pockets to organize your travel documents and essentials.